Wow. Who would have thought we’d see one of the President’s chief Republican detractors speaking out in support of him on such a touchy issue? 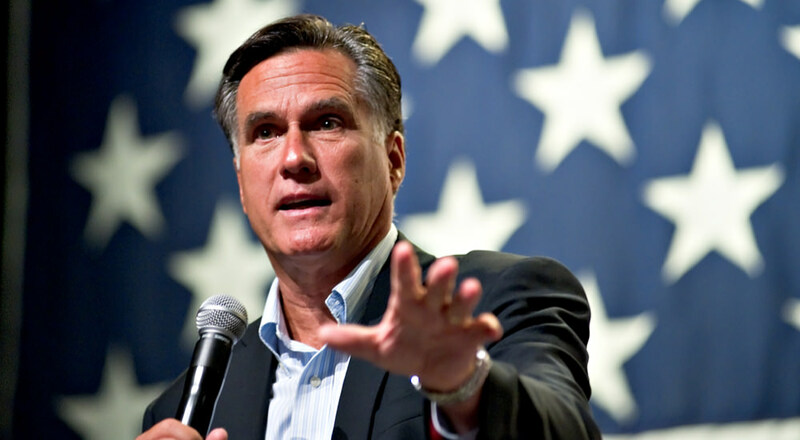 Utah Senator Mitt Romney recently appeared on NBC News with Chuck Todd to talk about illegal immigration, and for once, he offered almost full-throated support for President Trump. Chuck Todd: It’s a little jarring to hear an American president say, “Our country is full,” given the history of the United States of America. How did you take that comment? Mitt Romney: Well, we’ve seen a dramatic shift in the nature of immigration and illegal immigration just over the last few weeks. I mean, a number of years ago and up until just a few weeks ago, the great majority of people coming into our country were coming, looking for work. Single men and oftentimes just were turned at the border. Sent back home typically to Mexico. In the last few weeks, there’s been a dramatic change and that is we’re seeing unaccompanied young people, as well as families with lots of kids, pouring into the border. And they say the magic word, “I’m seeking asylum.” And by virtue of our laws and processes here, we bring them into the country. We don’t begin to have enough space in our facilities to maintain the kind of care that these people deserve. And so they’re being just turned out into our country, 125,000 of them so far this year. It’s overwhelming our system. We have got to be able to deal with this in a way. It’s going to take some legislation to get it fixed. Chuck Todd: Well, and that’s what I’m curious about. How would you be handling this? I mean, the president has threatened to impose economic penalties on Mexico, a tariff on cars if they don’t help with the border that are shipped to Mexico. He’s threatened to pull all foreign aid to the three Central American countries where many of these people are fleeing. You know, it’s called a carrot and stick approach for a reason. He’s only, he’s only providing sticks. He doesn’t seem to have a carrot here anywhere. Chuck Todd: But you just said– Senator I just heard your hesitation there. Does he have the credibility to do this? Mitt Romney: Well, he does. He has the capacity to bring together the top Democrats, top Republicans and to sit down and say, “Okay, what can we do legislatively to make sure that we’re not creating this extraordinary asylum magnet that’s bringing people into the country?” And let me tell you, in my opinion, the Democrats are making a huge error by making border security an issue and saying it’s a partisan issue. Look, this is an American issue. We can’t have millions upon millions of people flooding into our country without a border that’s secure, without ICE making sure the people that are here illegally are sent back. This is a winning issue I think for Republicans. But more importantly, it’s a winning issue for Americans to say, “We have to have the sovereignty of our nation.” I think the president has tapped into something which the people feel very deeply.